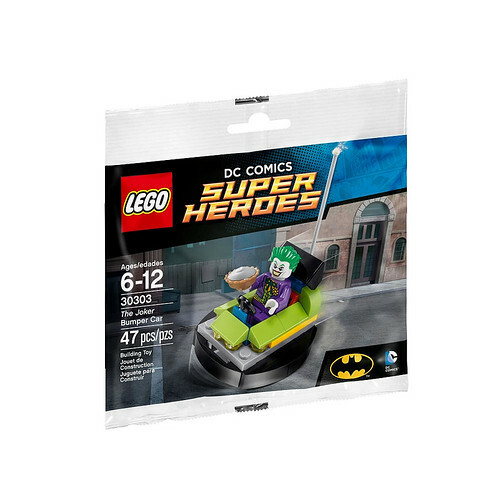 Last year, we reported that the LEGO DC Comics Super Heroes The Joker Bumper Car (30303) polybag was listed on Toys R Us’ website. 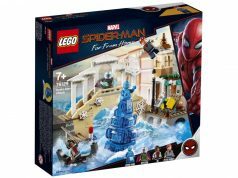 Ever since we reported on the polybag, it has subsequently been taken off the website and there has been absolutely no word on it, until now. 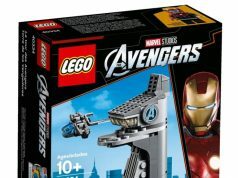 It was actually earlier this month on the Brickset Forums that a user by the name of Waynegg found out that the polybag was listed in Target’s inventory system. 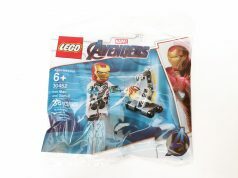 So somewhere between the end of last year and beginning of February, something must have happened with LEGO and Toys R Us with the polybag being pulled from their system and ended up in Target’s system. Waynegg did mention that “TRU and LEGO were at odds over the Bricktober sets when they started selling them as they were intended for giveaways” which was the case because they were being sold for $20 each so I guess future “exclusives” will be going to other retailers now. The OP also has provided the UPC code for it (673419233743) as well as the DPCI (204-00-0479) and sure enough, the DPCI number does show up in the Target’s system. Another member of the forum also chimed in saying it’ll be showing up in March or April but it’s purely speculation. My suggestion is to keep checking up on the DPCI number and see when it actually shows up as available in the system. It’s not much more information than what we had before but it’s at least we now know that Target may be stocking The Joker Bumper Car (30303) now.